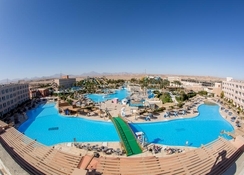 Titanic Resort enjoys a stunning location in Hurghada, next to a waterpark with plenty of water-sports. The accommodation here is airy and bright, and offers beautiful views of the outdoor swimming pool. The resort also houses a spectacular restaurant serving the best in local and international cuisines. The onsite spa offers excellent rejuvenating massages. Fitness enthusiasts can take advantage of the fully-equipped fitness centre, where you will find high-tech equipment and expert trainers. 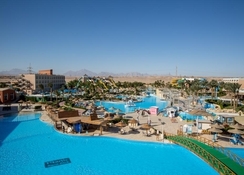 What makes the resort a convenient place to stay is its proximity to the airport and the Hurghada City Centre. Whether you are a couple, family or with friends the Titanic Resort is sure to delight you. 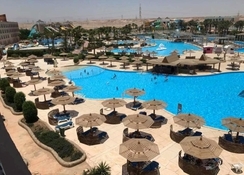 Located in El Geesh - Hurghada, the Titanic Resort is 20.1km from the bustling city centre of Hurghada, where you'll find an abundance of shops, restaurants and bars. 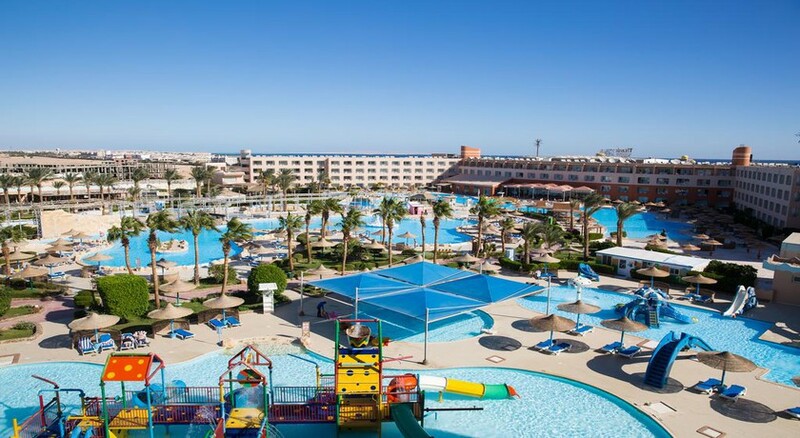 The Hurghada International Airport is just 14.2km from the resort, making it convenient for guests to get to the resort and board their flights back on time. The accommodation at the Titanic Resort offers fantastic views of the pool and its surroundings. The rooms come in numerous categories to match the needs of singles, couples, families and groups. They come with all the necessary amenities including a bathroom with shower, mini bar, hairdryer, Wi-Fi, safe, air conditioner, flat screen TV and much more. The hotel houses a buffet restaurant, where guests can enjoy lip-smacking breakfast, lunch and dinner prepared by expert chefs. Additionally, there are numerous bars on all the corners of the resort, so that the guests can have refreshing drinks on the go. 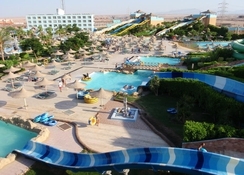 What makes this resort a stunning place to stay is its games, leisure and water-sport facilities. 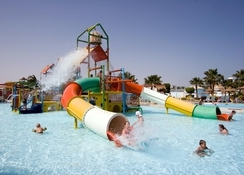 There is a well-equipped water park with plenty of slides, where both adults and children can have endless fun under the supervision of the resorts staff members. Other facilities in the hotel include a fitness centre, spa and wellness centre and many more.